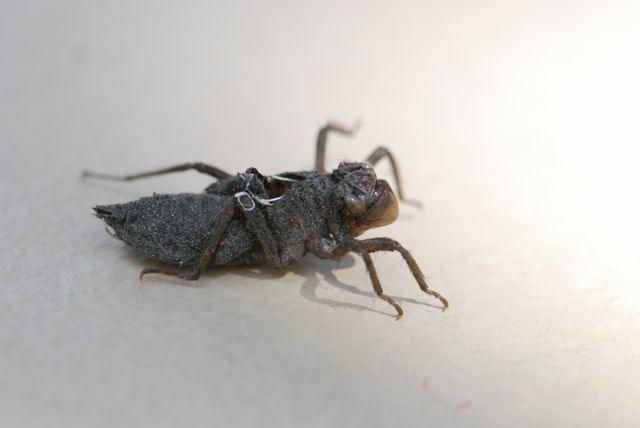 Bug of the Week: Mystery Insect? 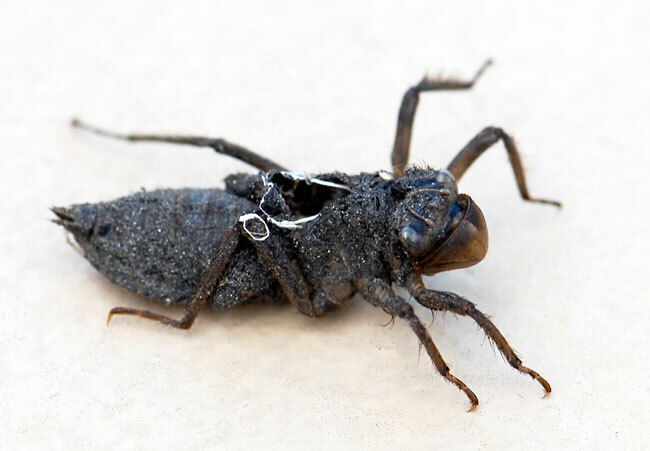 Author RobertaPublished on September 11, 2013 September 18, 2013 7 Comments on Bug of the Week: Mystery Insect? Just for fun, I thought I would throw a mystery insect at you this week. It is a bit unusual looking, but there are some clues to what it is if you look closely. Okay, maybe that is too close. Do you have any ideas what it might be? If you chose to share, be sure to leave your ideas in the comments. shed "skin" of a 'hopper, probably a leafhopper of some kind. I am guessing it is something in the aquatic insect category.....dragonfly larvae? (Charred0 remnants of a cockroach ?! OOPS ! That's (charred) remnants of a cockroach ?! Those are all really good ideas. When you are ready, the answer is now posted.